We all know that there are Lego lovers and then there are Lego fanatics. Take a peek at this home renovation and decide for yourself whether the home owner should be classed as ‘lover’ or ‘fanatic’! 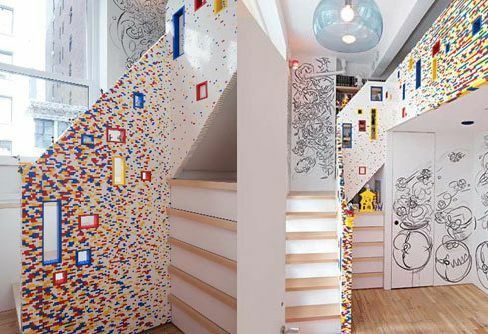 I-Beam Design and Architects incorporated nearly twenty thousand Lego bricks in the stair railing of the Marks/Caride Residence in Chelsea, New York City. 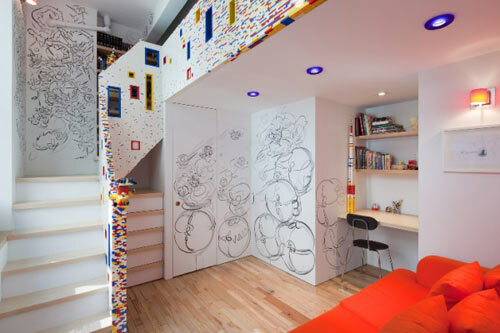 The stairs actually lead to a child’s bedroom and were designed in conjunction with Sean Kenney, a licensed Lego artist, who helped create a flow of receding or intensifying colour up and down the stairs. 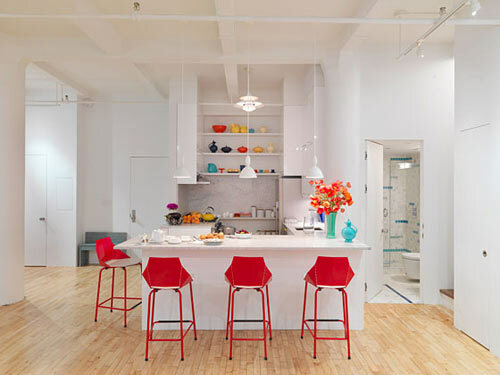 The finished result is playful and serves as an eye-catching use of colour in what is essentially a white space. 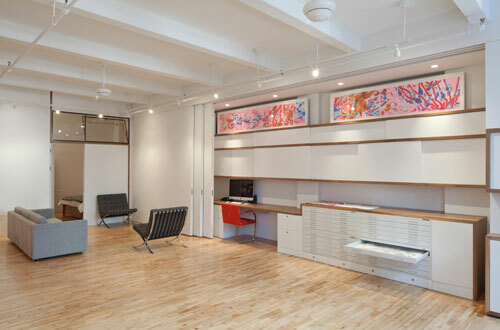 The owners – an artist and a designer – have renovated the apartment to allow space for work and leisure. Clever use of a series of sliding walls reveal or conceal different areas (studio, office and living room) according to the time of day and who is using the space. The walls also display Melissa Marks’ artwork, some of which is painted directly on the wall. The minimal colour palette is punctuated with a solid walnut line that circumnavigates the apartment to become shelving, stairs, door jambs, window sills, desks and countertops, unifying the spaces. As well as the bright Lego bricks, pops of colour are used throughout for furnishings and fittings.